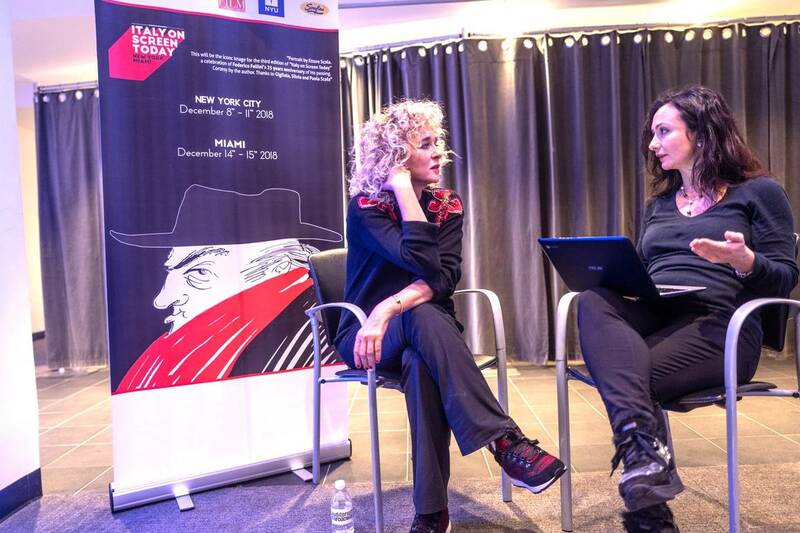 Valeria Golino is proud of her second movie as a director, Euphoria, starring two important names of contemporary Italian cinema, Valerio Mastandrea and her former partner Riccardo Scamarcio. Like her first movie, Honey (2013), it deals in a delicate manner with difficult topics such as illness and death. 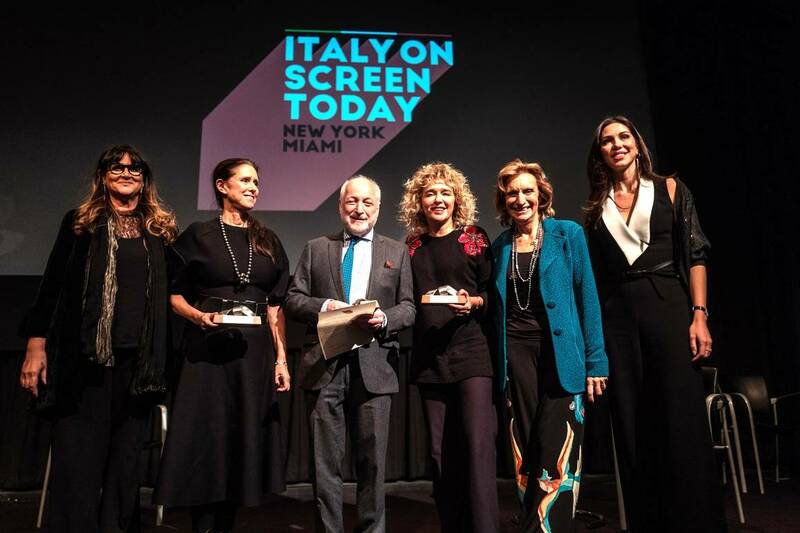 For this feature and her career made of about 90 movies as an actress, she also received the "Wind of Europe International Award" by Italy On Screen Today, an association created by Loredana Commonara. Yet, Valeria, among the few Italians artists to have conquered Hollywood, has a very anti-diva and carefree attitude with her curly hair and the confidence of someone who has already proved his worth and does not even have to play the femme fatale role any longer. Further, as a director, she feels like she overcame “the obstacle” of her second directorial effort because, as she explains, "if the second one is not good, people think that you were just lucky with your first one." Therefore, our interview focuses on Valeria as a director and what it means to get behind the camera at a particular historical time for women in cinema. She answered in a spontaneous, kind and never banal way - as a true diva. In a recent interview, Jane Campion, a director who won several awards, said that thanks to the #metoo movement we are experiencing a special moment that has put an end to one of the most patriarchal periods that have ever been, the '80s and' 90s. Can we say that the same revolution is taking place in Italy? Of course, it is an important period! What happened has facilitated the work of women and busted their rights. I am not speaking only about female directors; I refer to all women as citizens. What happened was inevitable, and it did happen. However, I am sure there will be further changes, especially regarding the abuse of power and the male-female relationship, on which there is still so much confusion about what this relationship entails. As a woman, did you find it difficult to find producers and actors or to propose topics? I met the same difficulties I would have found if I were a man, talking from an external point of view. The real challenge was inside me, as a woman. It probably took me a long time to do what I wanted to do because as a woman there is sometimes a kind of intrinsic self-censorship that comes from afar. I had desired to direct for a while, but in the end, I did it after people who are close to me encouraged me to try. For example, it was difficult to find producers for my first movie, Honey, not because I am a woman but for the topic, assisted suicide. Not because it was a scabrous theme, but because it was difficult for the market. Now transgression and scandal in cinema no longer exist. Times have changed since Last Tango in Paris where a scandal made news. Now only the market counts. Undoubtedly we are. In the last 30 years, the more society became vulgar, the more politically correct we are. On the one hand, there is the total involution of values, of femininity and of what we aspire to. On the other hand, by contrast, there is everything we want to have or would like to be. Which are the female directors you admire the most? Among the new generation, I appreciate Alice Rohrwacher. We have two completely different ways of making cinema and telling a story, but as a spectator, I understand the unique universe she has to offer. Also, I recently worked as an actress with a really interesting young director, Céline Sciamma, whose breakthrough was Tomboy in 2011, a wonderful movie. Was it challenging to direct two men like Valerio Mastandrea and Riccardo Scamarcio on the set of Euphoria? Exactly, how to direct them! In the sense that they are two actors with a strong personality and a great experience. You just have to lasso them because they always think that there is their own way to make a particular scene. Do you think they would have listened to her more if she had been a man? No, they always respected me a lot. Well, I am not authoritarian especially with Riccardo who was my partner for a long time and on whom I've lost the authority a long time ago (laughs, ed), but I know how to take him and what are those excellent characteristics of his that maybe other directors won’t take advantage of. It was undoubtedly a privileged relationship working with him as an actor. The advantage with Valerio was that I had already worked with him as an actress so I know his idiosyncrasies. And then he is a wonderful actor. He just doesn’t have to get bored. Once I will be back in Rome, I will sit down with my screenwriters to evaluate new stories. Whom do you write your scripts with? Always the same two screenwriters (Francesca Marciano and Valia Santella, ed) for the pleasure we feel in working together. For Euphoria, I was also helped by Walter Siti, an Italian writer whom I love, but usually, it’s about us, the "girls" as we call ourselves even though we are more ladies than girls now. Is there a prize that you would like to win more than others? I would not mind winning the Palme d'Or as best director in Cannes. So far only one woman, Jane Campion with "Piano Lessons," has managed to win the Palme d'Or. I did not even mean the Palme d'Or, the highest recognition. I was thinking more about the best director award. Here, you see, that’s my mania to make me small, to self-censor myself.